Gawler Chambers is a heritage issue i believe. The issue is the building was left to rot, and rot it did. There's now substantial problems with the structure, which is having an impact on the plans that incorporate the old building. This is on DAC site expected to be approved at Thursdays meeting. Love the street activation. This massive site has been dead for 15 years! All and well, but whose filling all this proposed commercial space? The market is saturated for office space as it is. I really hate these comments. It won't get built if no one fills it. If no one proposes anything though there is nothing to fill. Its called economics. The Premium/A Grade market is far from saturated, there are a few proposals but the only one under construction (GPO) is 100% committed. Looks good, a bit of a modern take on the Flinders University building on Victoria Square. They can't kill my Planet memories.... . Loved that place back in the day. A planet killer, eh? Then it's obvious this one should be nicknamed the Death Star. I don't adore this one. Reminds me of the GPO development but with glass walls. But the location isn't as prime so it's not a huge deal. The gold podium material could look quite nice. Nice commercial tower, and I agree, the street activation looks great. Could be a real catalyst development for Pirie St too, kick start some held sites that have been somewhat idle. 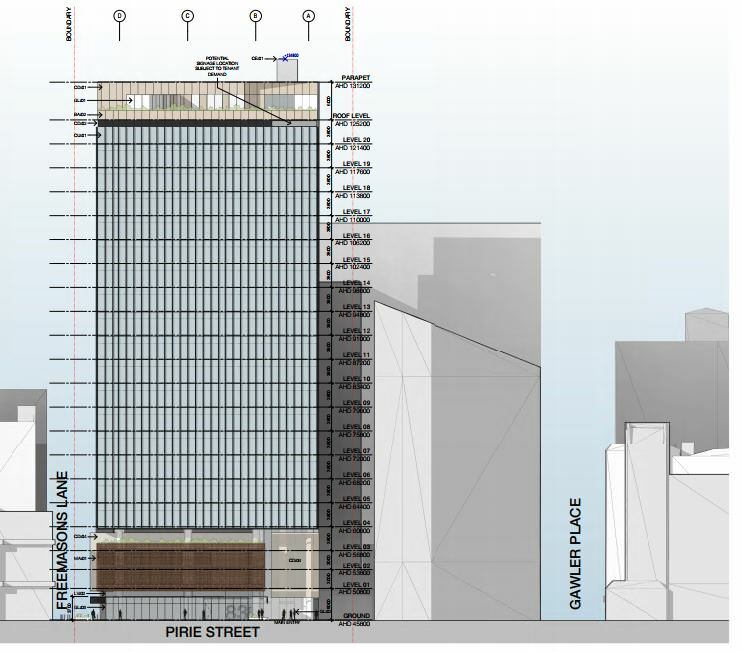 THE former Planet nightclub building which has been vacant for 14 years would be demolished and replaced with a $72.6 million office tower under plans lodged by its owner. 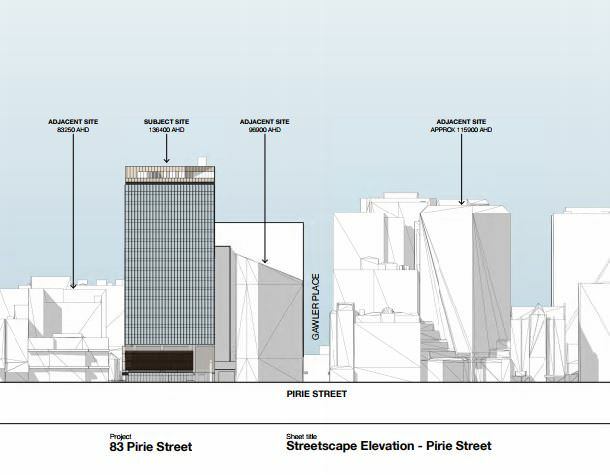 The Adelaide Development Company wants to build a 21-storey, 84.5-metre-tall office building to replace the Pirie Street superclub, which closed in 2004. The proposal, designed by architects Woods Bagot, includes ground floor retail, three levels of parking for 122 cars, 17 levels of office space equivalent to 30,000 sqm, a rooftop terrace and 205 bicycle spaces. The State Commission Assessement Panel has been recommended by government planning staff to approve the application when it consider it at a meeting this Thursday. 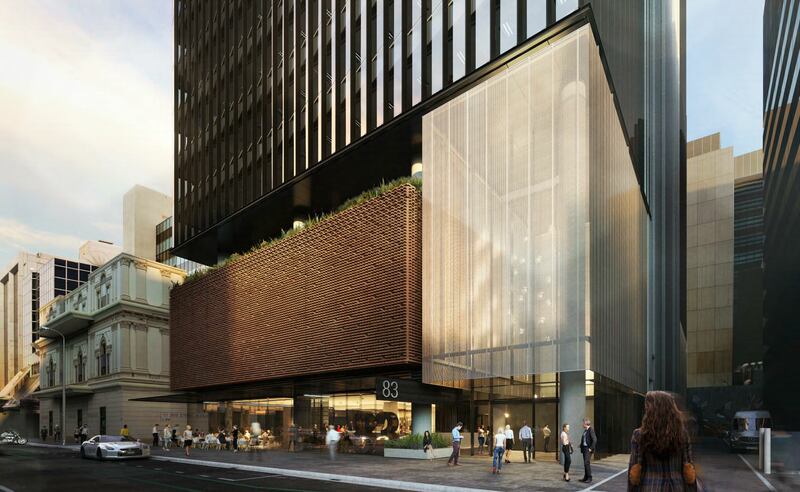 The development, which would also involve demolition of a building to the east of the Planet site, would cover a 2911 sqm site with frontage onto Freemasons Lane and Pirie Street. 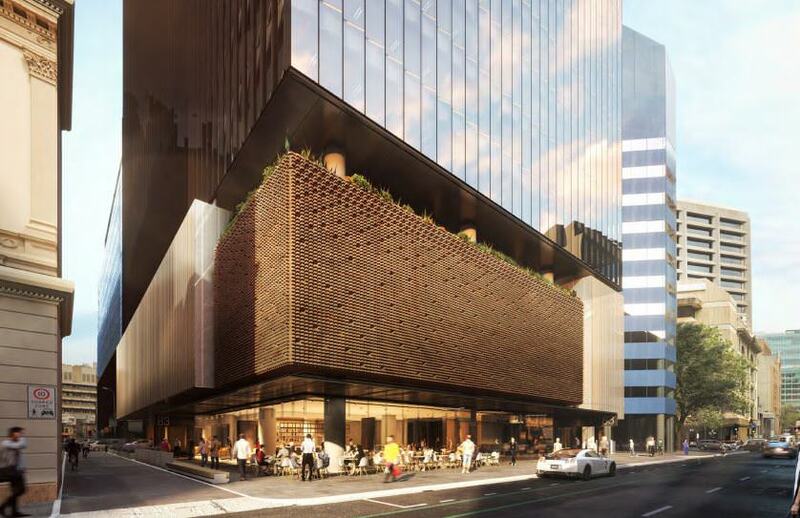 It comes more than 12 years since Adelaide City Council approved designs for an 18-storey office and retail development on the site. Approval for that plan lapsed in 2012. The Planet, which opened in 1994, had an enduring rivalry with Heaven as Adelaide’s pre-eminent superclub. Shame it's not taller in that location.. I work in the Allianz building next door and walk past the former Planet Nightclub everyday. Its such a waste to have it all sitting there doing nothing so I am excited about this proposal. I hope it does get built as it looks great.